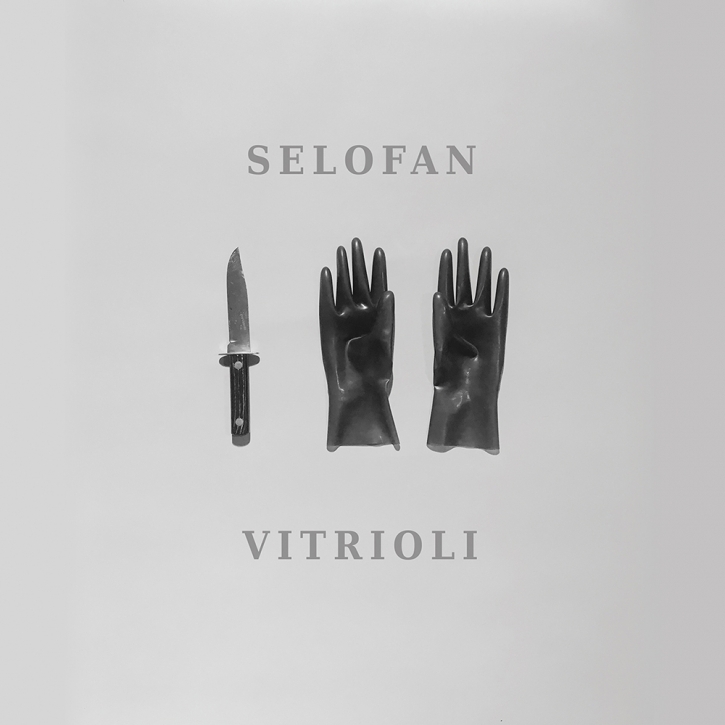 Info: With 4 acclaimed studio albums already under their belt, the Athens-based synth / coldwave duo Selofan announces Vitrioli, their fifth and most staggering album yet. A well-known purveyor of allusive, synth-infused coldwave music and the driving force behind the Greek label, Dead Scarlet & Fabrika Rececords, Selofan followed the siren call of the 80s goth sounds and minimalism, carving out their own spot at the forefront of independent wave music scene. Across "Vitrioli"s eleven heart-wrenching love songs and odes to the failures and hysterias of the subculture, Selofan brilliantly express the bands main themes theyve been exploring since their existence: that there is dark humor in emotional vulnerability, that one can find a way to laugh and cry in the same breath  and get stronger. The sound of Vitrioli is intense, inflammatory and sometimes harrowing- the record taps into the depths of madness: chanelling a lovers call to arms, power of self-awareness and brutal rawness of desperation, love and hate conflict colliding into devastating effects. Famously provocative, Selofan create an unpopulated dramatic realm where sad lovers shapeshift into a destructive, obsessive, ambitious persona with a driven desire.